Hat off to the buyer who has committed a lot of dough for this place. Wish them happy ever after. People who can afford this house are in a different price range and their financial decision shouldn’t be judged based on our standard of values. For example, I still don’t see who in their right minds would buy a Birkin handbag for $10,000. Mortgage of $14k to them is like $1400 to us. The house may not be in the best neighborhood of Arcadia, but it is absolutely gorgeous. If the buyer wants something special and has the money to spend, why not? Truly wish them happy ever after! I guess the tragedy here is the seller who spent 4 years and $2.6MM building the home. Unless he went with cheap labor, this guy would’ve been lucky to break even. Of course he went with cheap labor (shout out to my boys at Hombre Depot!). Anyway, my in-laws live in a Rosemead McMansion and the workmanship in these homes is terrible. Crooked door frames, gaps in the molding, excessive numbers of light fixtures, and poor water pressure for the numerous bathrooms are de rigueur. It’s a good thing we have gentle weather in the San Gabriel Valley; these “houses of cards” would get blown down at the first heavy wind. If I had 2.6 mil to spend, I’d get something tasteful in San Marino. I’m sure the sellers are very happy to have broken even or a small profit, as well as getting this white elephant off their balance sheet. I couldn’t agree more with Cato… if you’re going to spend that much money, there are so many beautiful homes in San Marino that hold value much better than this one ever will. These multiple million $ McMansions are very nice but they are mostly out of reach to the middle-class working families like us even we have very good double incomes (~$160K/yr combined). If you can profile some SFR or condos below 1 million $, that will be more helpful. $2.6M? Has to be a foreign buyer who doesnt know better and bought cash? No bank/appraiser bless that deal. What can the upside on that property be 5-10yrs from now? If I had #2.6 million to spend on a house, it would be in Laguna Beach, not any place inland. The 13% discount from original asking more reflects the builders normally inflated ask price, to leave room for a bid such as this, rather than evidence of the still hoped for and much awaited reduction in Arcadia home prices. The builder did not account for a 13% price reduction in his budget. It is evident from the property’s listing time of 217 days. By waiting so long before reducing the price, the seller ended up paying 7+ extra months in interest on his construction loan. Being very familiar with experienced local and national builders, I can tell you that the goal is to sell the home before construction is even completed. Of course, the housing bubble made many normal folks believe they were “experienced developers”. Go figure. My God the Buyer is a doofus. The house is a mishmash of conflicting architectural styles. Just another generic stucco mess. Blech. Buyer has to be a multi-generational family. Nobody else would pay nearly that much for such a POS. The house is nearly twice as large as one could possibly need, even before taking into consideration the additional sf in the back house. The neighborhood is pure sketch, and the home and the lot dwarf all but a few homes in the surrounding area. I hope the buyer plans to be there for a full 10-15 years, because they’re not getting their money back otherwise. They overpaid by at least $300,000, probably closer to $500,000. To provide a comparison – I lost a bid on 1964 Glenview Terrace in the estate section of upper Altadena. 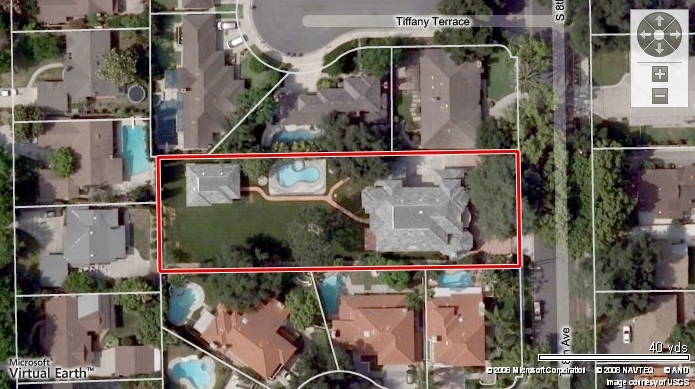 The property – 2/3 acre, all flat, gorgeous residential street – sold for land value of $1.1M (which was at least $100K more than it was worth). You could build this same ugly house on that lot – in a much, much better neighborhood – for the $2.6M this sucker of a buyer paid. The frustrating thing for other buyers is that fools like this guy are keeping the market from settling back to something more reasonable. They’re like the idiots at the blackjack table who hit on 17. Aaargh. Actually, I see it as the fact that we have one less buyer in the market to prop up prices. There are estimated more than 1000 major corrupt officials “hiding” in the U.S., and perhaps thousands more “lesser” corrupt officials living here as well. Surely they know that buying McMansions at inflated prices will send a red flag to the USDOJ as to their whereabouts. Let’s hope the USDOJ will finally deport some of these McMansion owners/buyers/potential buyers back to where they belong and bring down the demand a bit at the same time. 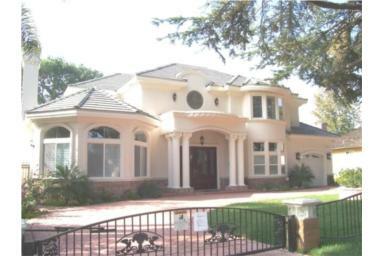 One realtor told me that many of the current buyers now in Arcadia are from China with a lot of cash. Most Chinese in the area know this but it’s been look, see, and hear no evil as long as the commission checks keep rolling in and sellers can cash out on their way to more reasonably priced pastures. The way I see it is it’s just US consumer money being recycled back into the local economy. Buyer are rich Chinese immigrants who paid cash. Upside doesn’t matter if you plan to live in it your whole life. How did you know this for sure – Chinese immigrants who paid cash?